If you are a teacher, how many children do you currently teach or have taught that you think may possibly have dyslexia and/or dyscalculia? Parents, do you recognise these characteristics, possibly in yourself or children? A child who is bright and creative but finds it hard to keep up with the rest of their peers may just need a bit of extra support in lessons to keep up or they may have dyslexia and/or dyscalculia. My own personal journey of being labelled at school as of above-average ability, gaining, 10 GCSE’s, 2 A Levels, a 2:1 degree, Qualified Teacher Status, Advanced Skills Teacher Status, and starting my own business LP Dance in Education in 2013 has accumulated in a realisation and a professional diagnosis in January 2018 that I have dyslexia and dyscalculia. As I reflect on all that I have achieved (through sheer hard work!) it makes sense that I have found my creative outlet through creative educational dance. Whilst training to be a PE Teacher back in 1996 at Liverpool John Moores University, it was my first lecture on ‘Creative Educational Dance’ from Manny Emslie that had me hooked, inspired and totally wowed. Dance suddenly had a whole new dimension. It had meaning and depth. It wasn’t just a way of learning different styles, techniques and keeping physically fit and active. It was a way of developing my creative and critical thinking, expressing my thoughts and ideas and using my imagination in a way that I had never had the opportunity to do before. Whilst a pupil at school in the early 80s – mid 90s, unfortunately, my own creativity was suppressed. It wasn’t something that was encouraged or praised at school. Instead, I had to work extra hard at Maths, Science and Languages – subjects which I found difficult but was told that I needed them in order to achieve and be successful in life. But who actually defines what achievement or success is? Surely achievement and success is subjective and linked to an individual’s makeup, their personality and their strengths? Not to what is the educational buzz is at the time determined by the government. One of my favourite ever TED Talks by Sir Ken Robinson ‘ Do Schools Kill Creativity’ really encompasses my own personal feelings in the fact that if in schools we don’t allow for opportunities, encourage and praise creativity in schools not only are we letting down many potentially very successful pupils, our children are leaving school without the skills set to be able to think creatively, see connections, see the bigger picture and come up with theories, technology and art that will continue to shape and change our world. Just imagine if Einstein’s mother had listened to the teachers who said that he was a lost cause! If you are a parent reading this and you would like some advice or support, I recommend you contact your child’s class teacher or school SENCo. My experience with LP Dance in Education has been an eye opener. Each session was totally different seeing the way different groups of young children act with this sort of activity. Before this week, I thought through dance you could only get a degree then begin teaching but this week has made me realise that you are able to do so much more within teaching. It has definitely made me reconsider what I want to do as a career. Day one: I was nervous as anyone would be doing something they’ve never really done before, but as soon as we met the first set of children at Kids 1st Gosforth, I felt more relaxed. I made a lot of little friends and I thoroughly enjoyed helping them get moving. The same happened in Kids 1st Hexham all the children had so much energy, which made me feel even more comfortable. The King Edward Primary after school club was a different experience yet again. The pupils were older so they were able to do a proper warm up and they showed me their dance which I was surprised at how well they performed it as they were still so young. Day two & three: I spent the morning at Laura’s, going through the business and how she got to where she is now. I found it exciting how many stages she went through to get here after having many changes in career. She then gave me the task of writing a profile about myself for her to advertise on facebook. In the afternoon I was with Eve at Kids 1st Quorum which was really good the children were all just so lovely. 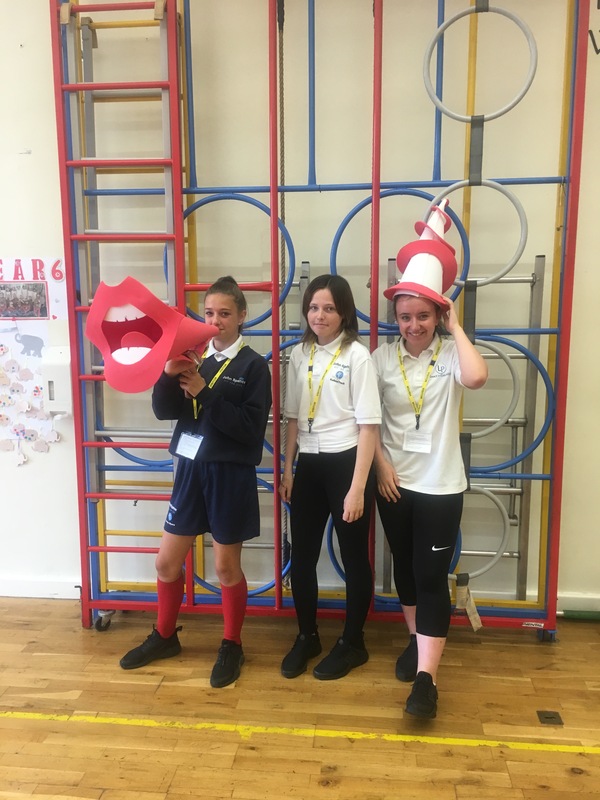 Day four: We were at Battle Hill primary school, and they are taking part in the Mouth of the Tyne festival. 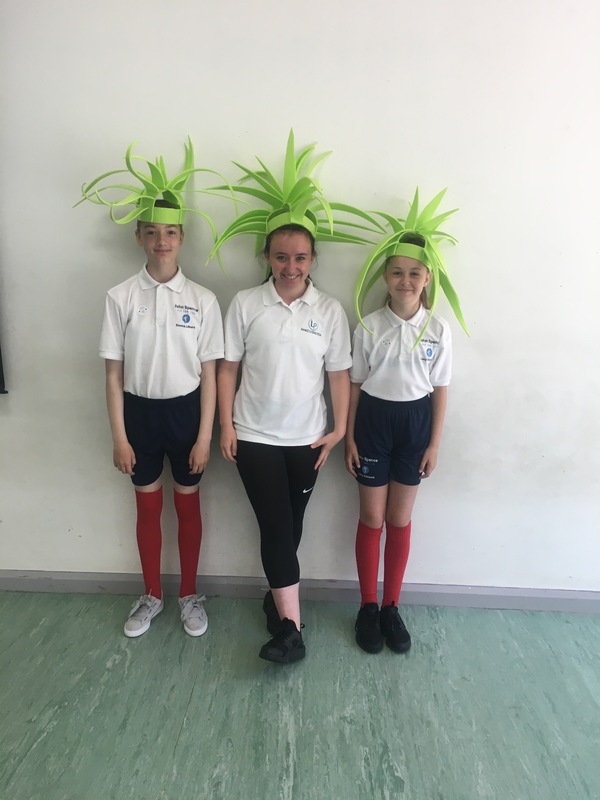 My responsibility is to lead the school during the parade, so we learnt two sections, the carnival chorus, which every school performs, but also a section inspired by hairdressers and the musical hairspray. I was then in charge of leading the dance all the way through as I will be in charge on the day, I was nervous but gradually I became more confident with the counting and leading the group. Day five: This day was definitely the busiest! Starting the day at St. Cuthbert’s primary where we set the dance for the Mouth Of The Tyne festival, I found this one of the quite challenging as the children were very tired (it had been a very busy week in school for them all) so it meant the leaders were having to put more energy in to try and get them motivated. I really enjoyed my time at Woodlawn School, it was amazing to see the children-enjoying dance so much in their own personal ways. I even made a little friend. At busy bees, I made more little friends in the first class and it was good seeing so many, so excited to dance. After was the babies, who were adorable but challenging because at that age they aren’t able too much. Lastly was Monkseaton Middle School, they had started a contemporary dance so to begin with we did a warm up then they showed me their dance, which was very good! The children started making up counts of eight to add onto the end so Eve and I went round and gave ideas and helped to make sure their section was long enough. Overall I thoroughly enjoyed my week, nowhere else I’d rather have gone, the week has definitely made me rethink what I want to do as a career. Thank you to Laura and Eve who have made me feel very welcome! On the 22nd & 23rd October LP Dance in Education raised a total of £260 for the Breast Cancer Campaign at our two LP Dancing Tots community classes!